Attorney General announces new measures to deal with incitement and harassment against haredi soldiers. 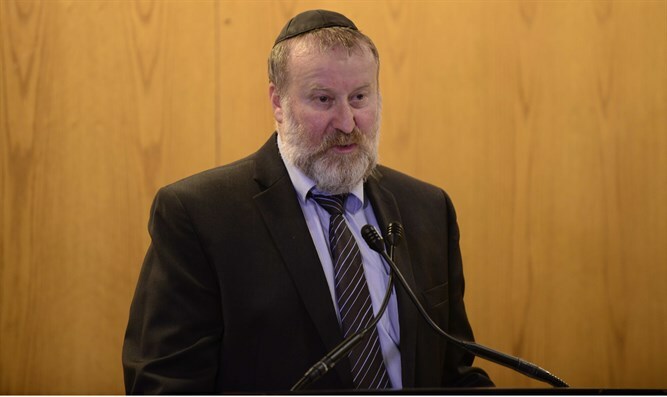 Attorney General Avichai Mandelblit held a discussion Sunday morning at the request of Deputy Defense Minister Rabbi Eli -Ben-Dahan on combating the harassment and incitement against haredi IDF soldiers and anyone involved in their recruitment. The campaign against the haredi soldiers includes publishing materials and ads inciting against them, telephone harassment, the publication of the personal details and photographs of haredi soldiers, and on occasion has even included violence and attacks on haredi soldiers and recruitment officials. The discussion on how to combat the campaign was attended by the Deputy Defense Minister, the legal adviser for the Defense Ministry, the Military Advocate General, representatives of the Israel Police, representatives of the State Attorney's Office, and the legal adviser to the government. During the meeting, the relevant organizations and offices discussed the measures they have taken and further steps that could be taken to more effectively combat the phenomenon. The Attorney General determined that the authorities must respond more quickly to complaints of harassment from soldiers and the police and the prosecution must prioritize those cases. In addition, existing anti-criminal measures will be used more effectively against the perpetrators of the harassment and the incitement. For this purpose, a special team will be established which will be responsible for the coordination between the various factors dealing with the issue, in order to improve the integrated enforcement in the field. Deputy Defense Minister Eli Ben-Dahan said: "Today we stepped up to deal with the incitement against haredi soldiers. I am glad that Attorney General Mandelblit and the relevant enforcement agencies have realized the seriousness of the incitement which exists and that we need to change how we deal with it."